Modern whisky production is an automated process, with many distilleries operating into the night. Workers are required to keep the distilleries going without a hitch and can be asked to oversee events anywhere throughout the plant. Employees often work alone, and whisky sites are often located in remote parts of the UK, such as the Scottish Highlands. The production of the famed 'amber nectar' poses unique risks to lone workers, but they are risks that can be managed and minimised with the support of ANT Telecom. ATEX zones are areas in an industrial plant where hazardous explosive atmospheres are deemed likely to occur. The manufacture of whisky produces a solution of ethanol, a liquid which is highly flammable. The raw materials of barley and malt necessary for the fermentation process need to be handled, stored and milled - and the processes can generate flammable and volatile clouds of dust and gas. Roasting and drying grains also requires huge volumes of gas with the associated risks. Workers in all industries have the right to work in safe conditions, but there are certain employees that are at a greater risk because of the environments that they work in, such as those operating in volatile and explosive atmospheres. Such accidents do happen - in 2012, a worker transporting a vat containing ethyl acetate was severely injured after the liquid caught fire, which ultimately destroyed the West Midlands warehouse and its contents. The HSE investigation found that static electricity emanating from the transportation of the liquid was the most likely cause of the disaster. At ANT Telecom, we can help our customers to manage and respond better to critical alarms by ensuring that the right systems and processes are in place. Production efficiency is important, and any delays caused by faulty machinery slows output and increases costs because of inefficiency and unnecessary wastage. Distributing critical alarms directly to teams that need to deal with on-site emergencies significantly reduces machine downtime and reduces the risk of minor accidents turning into major emergencies. This is because reacting promptly to warnings of machine failure means issues can be rectified. Responding slowly or failing to respond can mean that issues and problems snowball. An important part of our support is the implementation of audit trails, which can help to improve the way alarms are managed in the future. ANT Telecom has over thirty years experience in assisting distilleries to achieve safer working practices. We can provide solutions in three key areas that are often faced by our customers - connectivity, monitoring and alerting, and staff safety. We recently helped Tamhdu, a Scottish whisky distillery by providing 25 DECT radio stations and handsets around the site to compensate for the lack of mobile signal. These devices were compliant with ATEX regulations, meaning that they could be used in the most hazardous areas of the refinery. The DECT system employs some key innovations to safeguard lone workers, such as easily accessible panic button and a tilt mechanism within the phone's handset, which starts the alarm process within 30 seconds of the phone no longer being in an upright position. The whisky industry poses a high number of risks to lone workers, apart from the intrinsic dangers of working alone. Risks involve the movement of casks, the need to climb on enormous tanks, the need to work around water and with hazardous chemicals. Due to the nature of distilling, workers are also frequently subject to very high temperatures. Many distiller is are situated in remote places with little mobile coverage or have substantial building structures through which a mobile signal cannot penetrate. Any machine or lone worker alarm that is triggered via ANT Telecom's Critical Alarm Management System is logged and recorded. This creates an audit trail, which can be used as invaluable evidence in the event of an investigation. It can also help managers and supervisors to improve future solutions. We believe it's the best way of protecting the health and safety of whisky distillery workers, whilst streamlining processes. 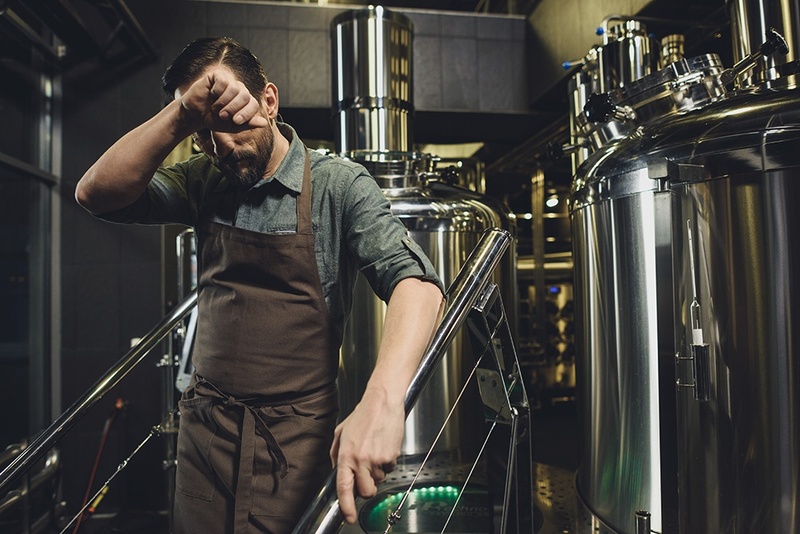 If you have employees working alone in your distillery, we can help you to provide them with the right type of protection for their well-being and for the protection of your assets. We offer numerous types of lone working solutions and can help you to find the right technology for your requirements. It may be possible to adapt your existing equipment, which could reduce costs and means your employees won’t need to wear multiple devices. Contact ANT Telecom for more information about our lone worker solutions across a range of industry environments.